Enter to win 2 tickets to Rebecca Kilgore's Christmas Show at Christo’s Restaurant & Lounge. For Saturday, December 22, 2018, 7:00PM. Entries will be accepted online now and must be received by December 16, 2018 at midnight PST. Rebecca Kilgore regularly performs worldwide at jazz festivals, jazz parties, and on jazz cruises. 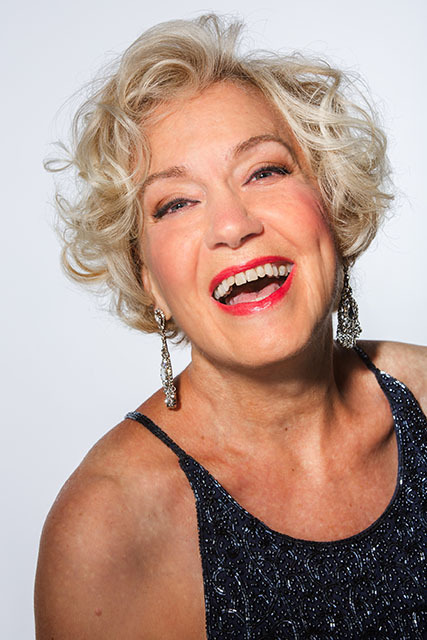 She has been a frequent guest on National Public Radio’s ‘Fresh Air’ with Terry Gross, has appeared on ‘A Prairie Home Companion’, and with Michael Feinstein at Carnegie Hall. The Rebecca Kilgore Quartet (formerly known as BED) was a popular favorite on the jazz festival circuit: with Eddie Erickson (guitar/banjo/voice), Dan Barrett (trombone), and Joel Forbes (bass). She has been performed with the Statesmen Of Jazz, dedicated to perpetuating the art of jazz for future generations. Other venues. New York: Feinstein’s at the Regency; New York: Birdland; San Francisco: The Plush Room at the York Hotel; Oakland, CA: Piedmont Pianos; Culver City, CA: The Jazz Bakery; Fullerton, CA: Steamers Jazz Club; Phoenix, AZ: The Nash; Madison, NJ: Shanghai Jazz; LA: The Westin at LAX; Toledo, OH: Murphy’s Place; Cleveland Heights, OH: Nighttown; Ann Arbor, MI: The Firefly Club; Cincinnati, OH: The Blue Wisp; Southampton, UK: The Concorde Club; Sherman Oaks, CA: Spazio’s. She is honored to have been inducted (in 2010) to the Oregon Music Hall of Fame and to the Jazz Society of Oregon’s Hall Of Fame, and to have been invited to perform at New York’s Mabel Mercer Cabaret Convention for three years at Town Hall and Lincoln Center. She was the guest of honor at the 2013 Roswell (New Mexico) Jazz Festival, and honored as a Jazz Legend at the San Diego Jazz Party in 2016.